I have this very ambitious cross-stitch project that is a replica of the "The Maiden", a Klimt painting. It's a humongous pattern that when completed it's size is about 16 3/8 x 16 1/8 inches. It's not easy to complete the project and since the aida cloth is white, I fear that it will get dirty even before I can finish the stitches. I thought of a draft tube to house the unfinished project, but aside from there's no available draft tube that fits the huge cloth, it is also expensive; hence, I let the dust accumulate for a few months. Thanks to BB for the BRIGHT idea to create my own draft/storage tube. Here's a do-it-yourself instruction on how to create one. Step 1. 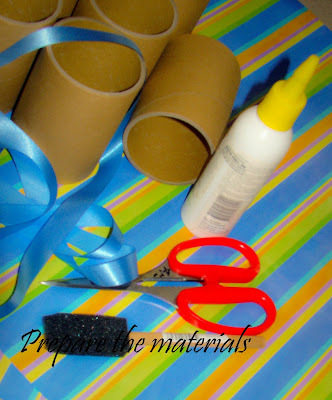 The materials needed are as follows: cardboard, tube (made of plastic, thick-board tube, or what have you), paper with design, craft glue, ribbon, brush, and scissors. Step 2. 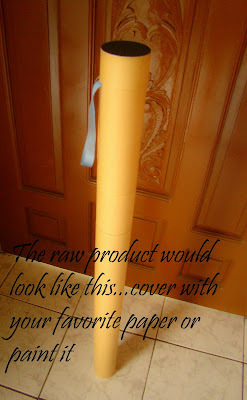 Create a circular tube from the cardboard...this will serve as an inner lining and guide for the individual tubes. Be sure that the circular cardboard is longer than the tubes. 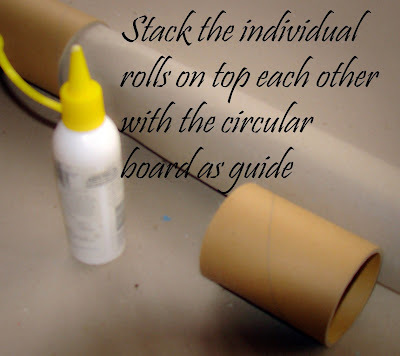 Stack the tubes following the cardboard guide. Step 3. 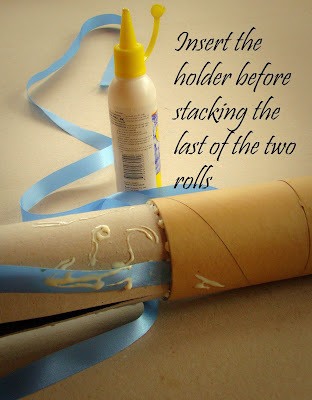 Before stacking the last of the two tubes, insert a ribbon that will serve as handle. 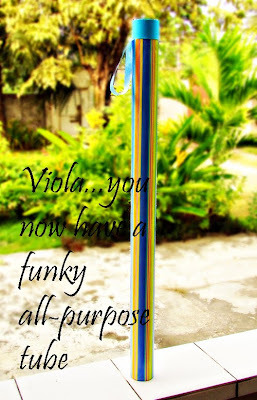 Note: You may use other materials for the handle, such as a plastic rope, rafia, and others. Step 4. 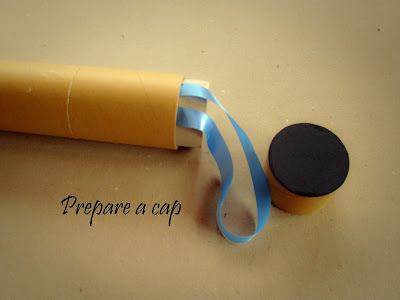 Cover the bottom-end of the tube and make a cap. Step 5. 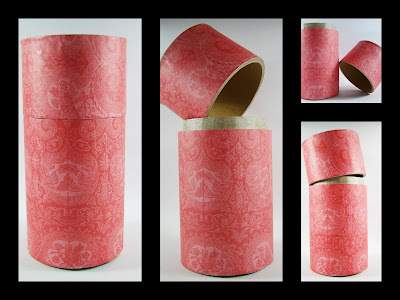 Wrap a paper around the tube, paint, or unleash your creativity.